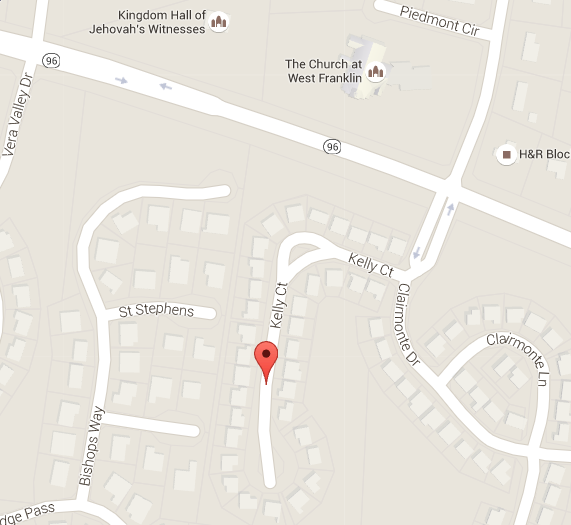 This morning at 12:30am, residents awoke to find a stranger standing inside their Kelly Ct. home in Franklin’s Clairmonte Subdivision. The homeowner went to investigate after hearing the doorbell ring, and was surprised to find the back door standing wide open and an intruder standing in the kitchen. The intruder fled when confronted by the homeowner. Officers flooded the area and used a police canine to search for the suspect, who was not located. The suspect is described as a slender male, between 5’4” and 5’9” tall, wearing dark colored pants and a grey hooded sweatshirt. Detectives are asking residents in the Clairmonte neighborhood to check their home surveillance systems for any unusual activity that their system may have captured during the overnight hours. Anyone with information is asked to call Franklin Police: (615) 794-2513. Residents should remain vigilant, reporting suspicious activity to police, keeping outside lights on, and ensuring that their doors are locked before turning in for the evening.